Clean Energy Adds Two Total S.A. Executives to Board of Directors; Founder Boone Pickens to Become Director Emeritus | Clean Energy Fuels Corp.
NEWPORT BEACH, Calif.--(BUSINESS WIRE)--Sep. 20, 2018-- Clean Energy Fuels Corp.’s (Nasdaq: CLNE) today announced that it has added two senior executives from Total S.A. (CAC: TOTF. PA) to its Board of Directors. The appointment of Momar Nguer, President of Total Marketing Services S.A. (TMS), a wholly owned subsidiary of Total, and Philippe Montantême, Senior Vice President, Strategy Marketing Research of TMS, is effective immediately. Total, one of the largest energy companies in the world, purchased a 25% stake in Clean Energy through Total Marketing in June of this year. 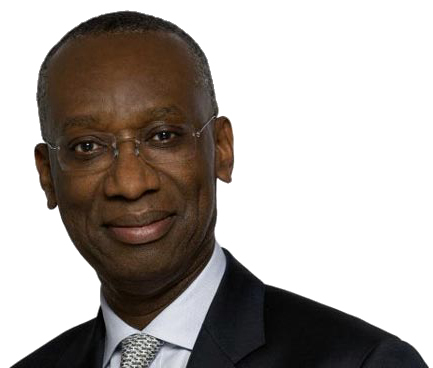 Mr. Nguer, 62, currently serves as President of TMS and as a member of the Executive Committee of the Total group of companies (referred to as the Total Group). He joined the Total Group in 1984, serving in various downstream positions. Mr. Nguer was appointed to his current positions with Total and TMS in April 2016. He has also served as a member of the Total Group’s Performance Management Committee since January 2012, and Chairman of the Group Diversity Council since August 2015. Mr. Nguer received a Master in Public Law from the University of Paris and a MBA from ESSEC Business School. Mr. Montantême, 58, currently serves as Senior Vice President, Strategy Marketing Research of TMS. He joined the Total Group in 1984 and served in various operational positions in France and Africa. In July 2013, he was appointed to his current position with Total Marketing. He graduated as a Chemical Engineer from the École Nationale Supérierure de Chimie in Toulouse and also holds an MBA from the EM Lyon Business School. This press release contains forward-looking statements within the meaning of Section 27A of the Securities Act of 1933 and Section 21E of the Securities Exchange Act of 1934, including statements about, among other things: the impact of the company’s relationships with Total, including the director appointments described in this press release, on the company and its business; the company’s leadership position in the alternative fuels market; the company’s ability to achieve long-term success; the role of natural gas in the transportation market, particularly the heavy-duty market; the growth of the natural gas fueling market and the impact on this growth of the company’s partnership with Total. Forward-looking statements involve known and unknown risks, uncertainties and other factors that may cause actual achievements, performance or other events to be materially different from any future achievements, performance or other events expressed or implied by the forward-looking statements. Factors that might cause or contribute to such differences include, among others: future supply, demand, use and prices of crude oil, gasoline, diesel, natural gas, other vehicle fuels, and heavy-duty trucks and other vehicles and engines powered by these fuels, including overall levels of and volatility in these factors; the willingness of fleets and other consumers to adopt natural gas as a vehicle fuel, and the rate of any such adoption; the company’s ability to execute its strategic initiatives related to the market for natural gas heavy-duty trucks, one of the Company’s target customer markets, and the impact of these initiatives on company and its industry; the company’s ability to capture a substantial share of the market for alternative vehicle fuels and vehicle fuels generally and otherwise compete successfully in these markets; the company’s ability to execute and realize the intended benefits of any large or strategic measures, transactions or relationships, including, for example, the investment by Total in the company and the company’s other relationships with this organization; the company’s ability to accurately predict natural gas vehicle fuel demand in the geographic and customer markets in which it operates and effectively calibrate its strategies, timing and levels of investments to be consistent with this demand; the company’s ability to manage and grow its RNG business; changes to federal, state or local greenhouse gas emissions regulations or other environmental regulations applicable to natural gas production, transportation or use, including regulations governing environmental, tax and other government programs and incentives that promote natural gas or other alternatives as a vehicle fuel; and general political, regulatory, economic, market and other conditions. As a result of these and other potential risks and uncertainties, the forward-looking statements made in this press release should not be relied on or viewed as predictions of future events. All forward-looking statements in this press release are made only as of the date of this press release and, except as required by law, the company undertakes no obligation to update publicly any forward-looking statements for any reason, including to conform these statements to actual results or to changes in expectations. Additionally, the reports and other documents the company files with the Securities and Exchange Commission (SEC), available at www.sec.gov, contain additional information about these and other risk factors that may cause actual results to differ materially from the forward-looking statements contained in this press release.